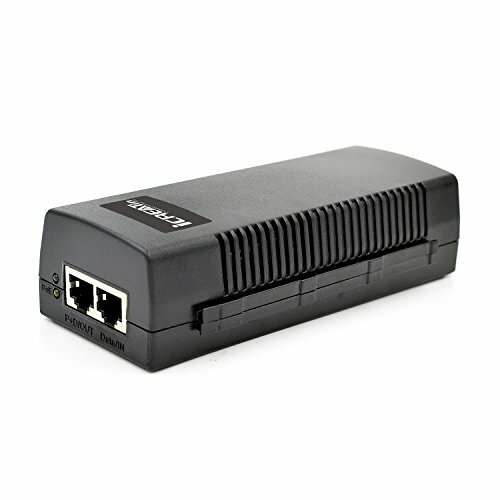 The iCreatin PoE Injector can easily connect any IEEE 802.3af/at compliant device to a non-PoE LAN switch port. The iCreatin PoE Injector is designed with short circuit protection Over Current and Over Voltage Protection, keeping your devices safe. It is also protect your products from overloads over 800mA and high voltages exceeding 52V. Compatible with IEEE 802.3af/at compliant IP camera, IP phone, Wireless IP point and other PoE devices.